I have kept many things far longer than I should have. I told myself the boys might want them one day, that I could save them some money when they first start out on their own. My eldest son did not to take much when he moved away, but my younger son has decided to take quite a bit. This helps justify having kept it for so long. I must say, it makes me happy to see organized shelves and empty spaces. I feel centered and peaceful when my house is clean and in order, especially my kitchen. In fact, my brain begins churning the minute my kitchen is organized ; the creative juices start flowing. I become eager to create new taste sensations for my family. I correlate organization of my house with having a less cluttered life…having the space available to welcome new experiences and new ideas. There is an expression floating around, “A clean house is the sign of a dull woman”. I heartily disagree. When I am living in clutter my brain overloads, my creativity shuts down. There is no space for new ideas when I am surrounded by too much ‘stuff’. So periodically – usually January at a minimum – I get the urge to do sort of a home ‘re-org’. I get the itch to re-organize at the beginning of the year also. This weekend is suppose to be cold in the south, so it’s a good time to start in the fridge and pantry! I too get the itch to re-organize at the beginning of the year. My starting on my refrigerator this weekend, then on to the pantry. Wish me luck! Yes, it is a momentum thing for me, too. I get going and keep on going. And I get the *most* done when I have other things I am postponing (meaning: procrastinating…LOL), such as writing my blog for example. 😉 It should be a good month!! I think many of us feel more centered when our space is uncluttered. Right now I’m working on my house. There’s Spring cleaning, and there’s Winter cleaning. We need them both. You are surely not alone in being inspired to organize by the new year! I hope your happy place keeps you happy all year long. 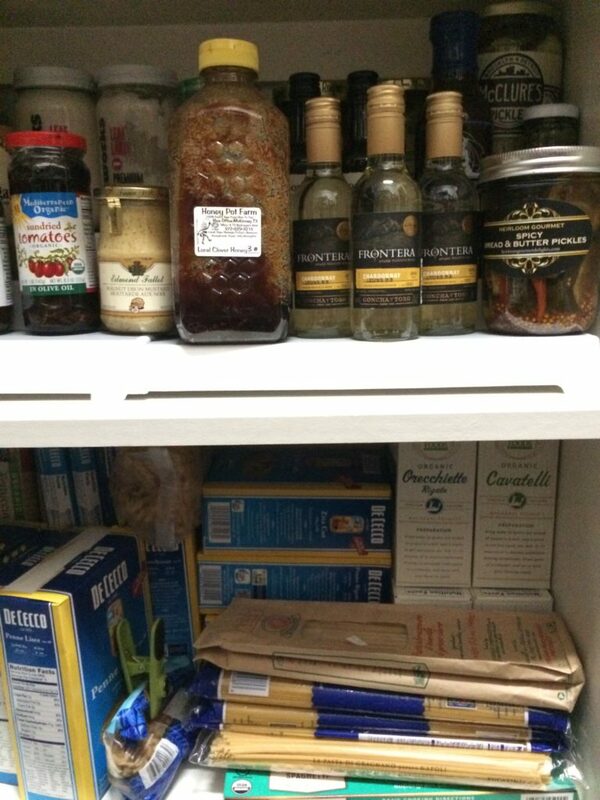 Surely it will be easier to try new foods with a tidy pantry.